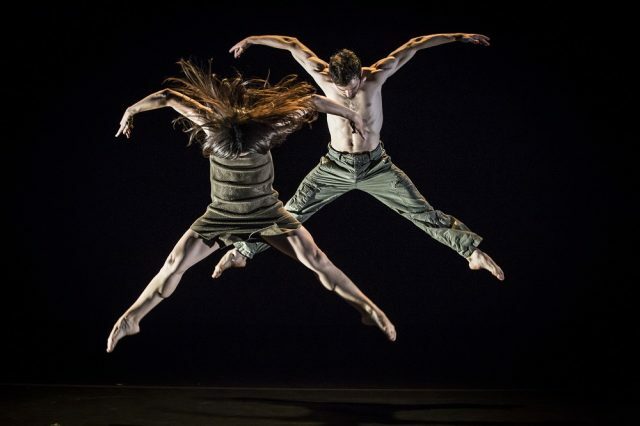 Performing to live music is a rare treat for the majority of modern dance companies. Three Los Angeles based dance companies, however, had that opportunity Thursday evening when they performed onstage with the Los Angeles Philharmonic for L.A. DANCES at the Hollywood Bowl. The evening proved yet again that there is definitely high quality dance in the City of Angels. Those three companies were BODYTRAFFIC, Ate9 dANCEcOMPANY and L.A. Dance Project. Led by Conductor Ludovic Morlot, the three composers whose work we heard were Adam Schoenberg, Daniel Wohl and Esa-Pekka Salonen, and the choreographers included Gustavo Ramírez Sansano, Danielle Agami and Justin Peck.